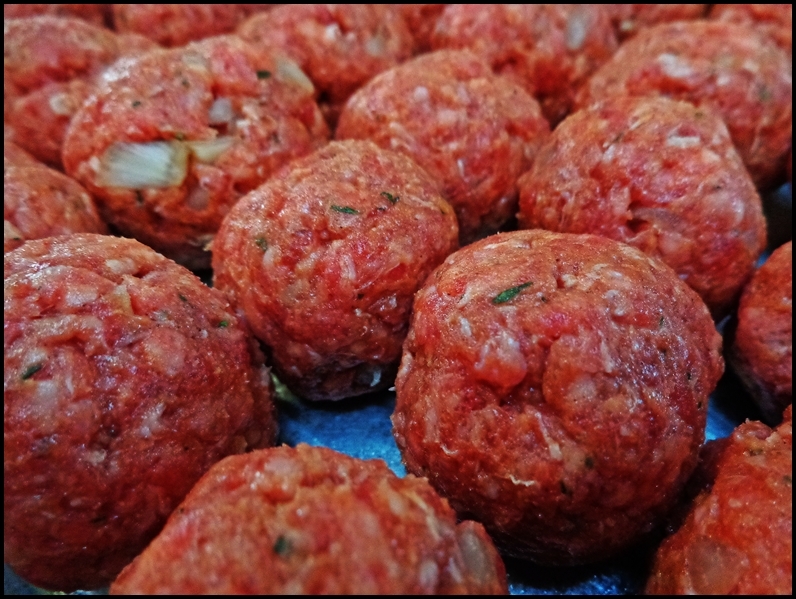 Kibbeh and Kafta are two Lebanese meat recipes that are somewhat similar yet at the same time a bit different. While they are both often made with lamb they are equally good when made with beef (as the recipe pictured is). And the recipe can take on many forms, this is just one example. I made this for staff lunch today. If you'd like to read more about what Kibbeh and Kafta are, and how they relate to me, read this post (which contains more photos, a variation on this recipe, and links). At any rate, this is really easy to make a super delicious. Place the bulgur in a bowl, cover with warm water and leave to soak for 10 minutes. Drain and squeeze out as much liquid as possible. Place the bulgur along with the rest of the ingredients in a food processor and process for 20 seconds. Scrape down the sides of the bowl, then process for another 20 or 30 seconds, or until a smooth paste. (You can also use ground lamb and mix the ingredients together for a courser texture.) 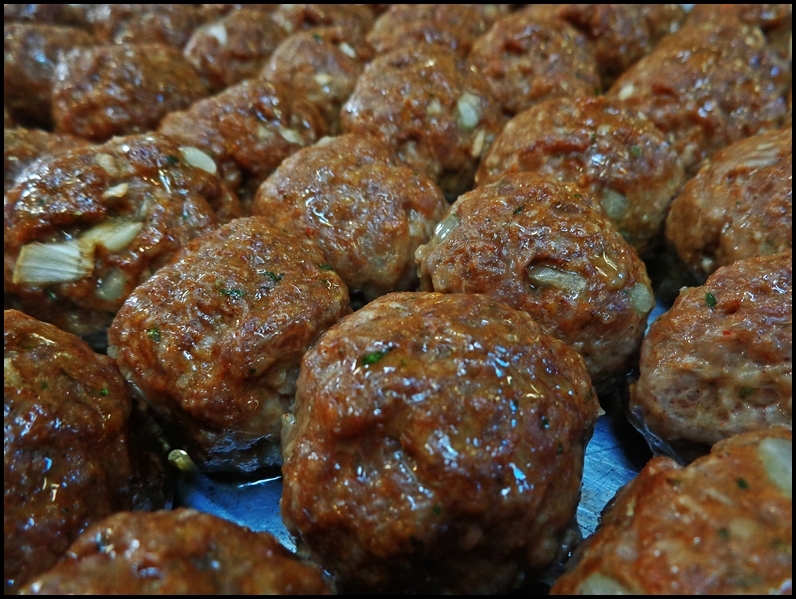 Stir in the mint, remove the meat from the bowl, shape into small balls and refrigerate for 1/2 hour. Bake, fry, saute, or poach the kibbeh and serve with yogurt sauce. Combine all of the ingredients in a small glass or ceramic bowl, cover securely and refrigerate for 1 hour. In a heavy skillet combine the olive oil, onion, and vermicelli. Place the pan over medium heat and cook, while stirring, until the onion and vermicelli begin to brown. Add the garlic, cinnamon, allspice, cumin, and salt; cook another minute, taking care not to burn the pasta or garlic. Stir in the rice, coating it with the oil and spices, then the chicken broth. Add the kibbeh, submerging them in the liquid. Bring to a boil, then lower to a simmer. Cover the pan and simmer for 20 minutes, then remove from the heat and allow to rest for 10 minutes. Stir in the parsley just before serving, and garnish with yogurt.